It can be quite tricky to look for a hair spa salon that you can trust with your hair. Your hair is the first thing that people will notice which is why it pays to find the best one that will give you an awesome hairstyle that you’re comfortable wearing. With literally hundreds of hair salons out there, how do you find one that’s right for you? 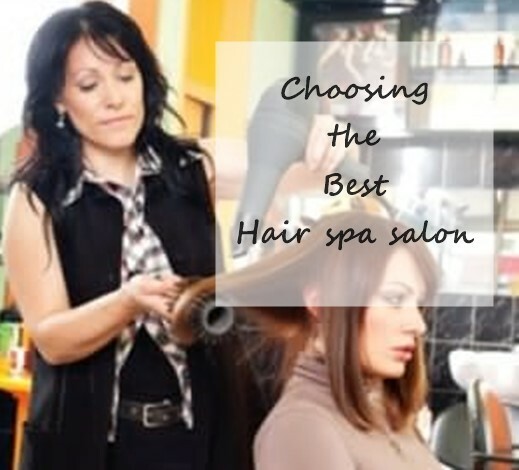 Here are my tips to finding the best hair spa salon. Sometimes, finding the best hair spa salon and hair stylist is a matter of asking people around. If you have a friend sporting a fabulous haircut that you like, ask what salon they go to and the stylist they’re using. Friends will surely be happy to recommend someone they trust. It will help if you and your friend have similar hair so you can set proper expectations before visiting the salon. Do you want to know if a certain salon treat their customers right? Try calling them first. Well-trained receptionists should be polite enough to answer all your questions about their services even if the call doesn’t translate to an appointment with their salon. Once you do make a trip, an experienced stylist should not hurry up to do anything just yet, but will ask several questions on what style, color or length you prefer and may advise you on what style that suits you best. The problem with going for most budget salons is that you get what you pay for–an equally cheap service. I’m not saying that all budget salons are like that. Some of them might be hiring amateur hairstylists or using substandard products just to minimize costs and compete with nearby salons which could greatly compromise the quality of their services. Likewise, don’t be fooled by high-end salons thinking their expensive services are worth it. They could be exaggerating their prices just to maintain their reputation of prominence. Choose a salon with reasonably priced services that you can afford. Remember that a top quality spa should be able to keep their customers even without advertising special offers all the time. If you only want a quick trim, then any salon could do that job just fine. However, booking an appointment with a top-notch stylist can provide special attention that your hair needs and deserves. Before booking an appointment, try to ask for a consultation with them first since a trip to a hair salon can be expensive. Many stylists offer free consultation where you can discuss ideas on what style you prefer or if the stylist has better suggestions on what suits you. This is also your chance to check if the salon is clean, if they offer a variety of services and to size up the stylist–whether they are friendly and if their hair is nicely groomed and styled. If you are generally satisfied with your current hairstylist, then it’s not necessary for you to switch. Remember that loyal customers are given special accommodation even on a short notice if possible. It is more enjoyable and relaxing to visit a stylist who is familiar with your hair and one you feel comfortable chatting with. However, If you’re not 100% happy with the results with your hair spa salon, then it’s time to switch somewhere else. Sometimes, trying other hair spa salons and hair stylists can be a hit and miss, so make sure to shop around until you get someone to trust to get it right.